Sometimes I really hate exercise! This normally occurs very early in the morning, like my crazy 6.30am start yesterday – yep a Saturday! 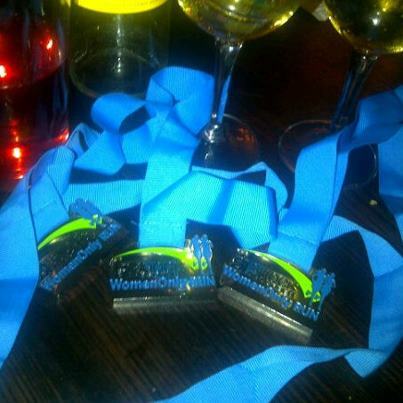 Okay, lets rewind….. a couple of moths ago two friends (off the back of the Olympics excitement) had a brilliant idea that we should all do a 10K. We’d all done one before – so it would be a piece of cake – right?! Fast forward to yesterday morning – hardly any training had been done, one of us had had a pretty big night out a few nights before and yes you could say we were a little more than scared. 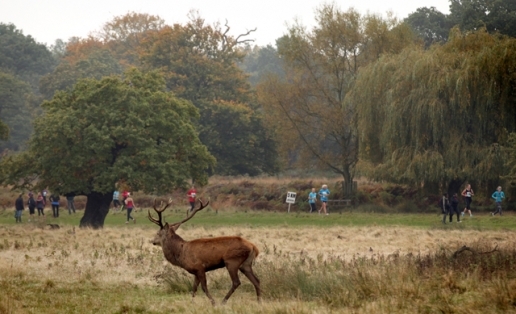 The 10K in question was the Shock Absorber 10K in Richmond park and we were all running it for Breast Cancer care. So of course it was for a brilliant cause – but our tired eyes and nerves were telling us something different. And it didn’t help that we were amazingly unorganised – even the night before we didn’t have clue where we were actually going. And when we finally found the right bus, an unexpected woman actually had to lead us there – we ended up following her like stalkers into Richmond park. So as we lined up with lots of super looking fit people we hoped we’d just make it round in one piece…. Amazingly…… even without any training (we were obv just super fit anyway!) we all did well. We stuck together, had a really great pace between us, encouraged each other when either of us started flagging, took in the lovely scenery (which included deers) and managed to sprint it through the finish line – with a PB time! Before the run we were cursing ourselves for signing up and by the end we were talking about our next 10K’s and half marathons! Funny what a bit of exercise can do…..well that and the victory bottles of wine. Previous Post Ready for take off?